It’s a behemoth, isn’t it? This is the new BMW X7, which is the latest – and unsurprisingly – the largest SUV that BMW can offer you. It offers six-cylinder engines, four wheel drive and seating for seven people. What else does it offer though? 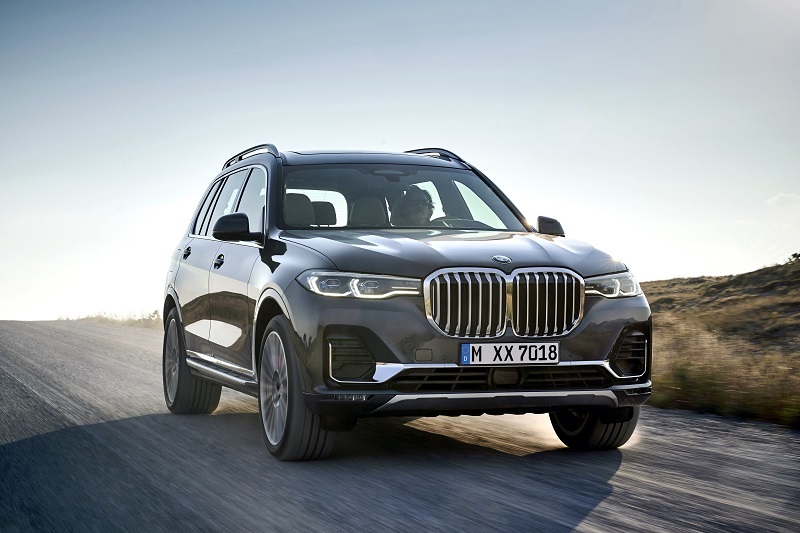 The X7 will now serve as BMW’s SUV flagship SUV, and will be available in three trim levels from launch; xDrive30d, M50d and xDrive40i. Whichever one you go for, you’ll need deep pockets, as it starts from a cool £72,155. Mind you, if you bear in mind this car is larger than your average studio apartment (probably), at least you’re getting a fair bit of car for your money. You’ll also get a “unrivalled luxury” as well, according to BMW. 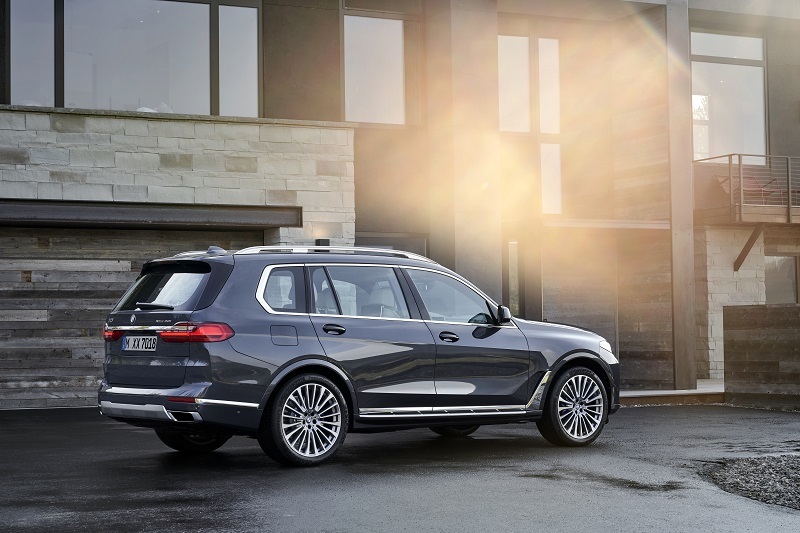 The Barvarians also state that the X7 has been designed to re-define automotive luxury, so it’s clear a lot of confidence is being placed in this car. Looks are subjective – and always will be – but I don’t personally like the look of this car. 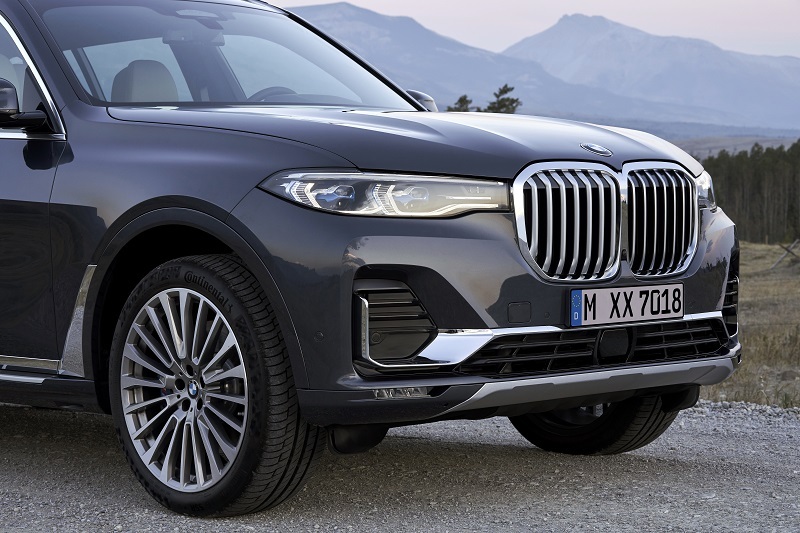 The kidney grilles are so large, they are borderline silly, and because it needs to be big enough to seat seven, its side profile has been compromised. Come to think of it, there’s not many good looking seven-seaters around, is there? That’s merely my opinion of course – I’m sure you’re more interested in the car. As standard, the X7 will be able to offer adaptive LED headlights, 21″ alloys (yes, really! 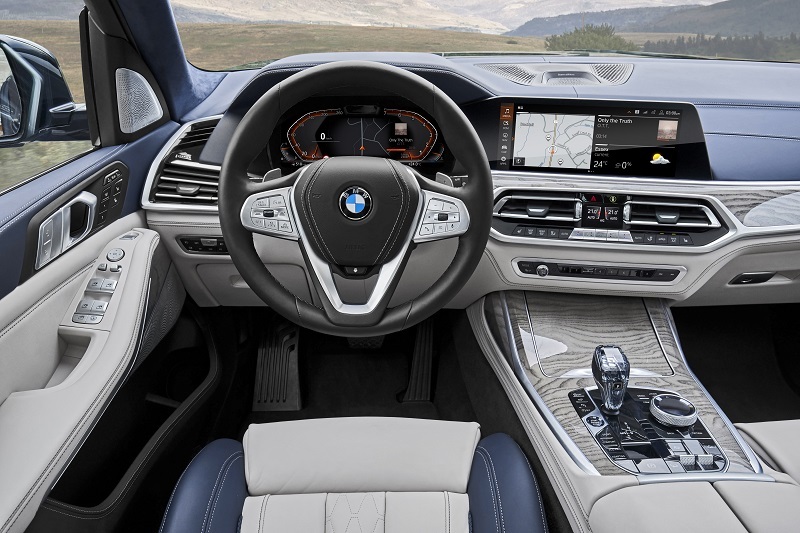 ), BMW’s wonderful iDrive system which uses a 7″ screen as well as a 12.3″ digital instrument display; sports leather steering wheel, panoramic roof and BMW’s Intelligent Personal Assistant among others. For those of you thinking that this is a basic list of kit for such a premium car – fear not, full specification is yet to be announced by BMW. Can it actually seat seven people? Seven-seaters look attractive on paper, thanks to their ability to, well, carry seven people, but more often than not, the last two seats offer about as much space as a portaloo. 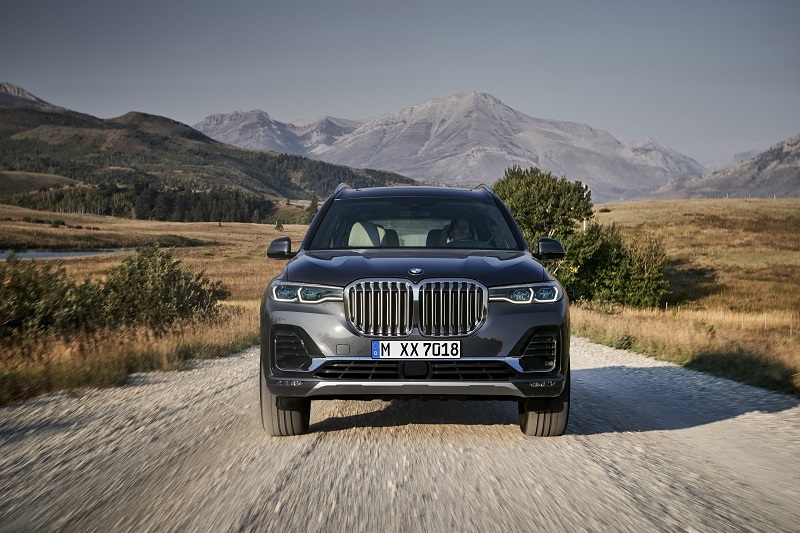 BMW states that you’ll have no such problem in the X7 as its the first car of its kind to offer two full-size seats which have space in between them – wunderbar! No longer, will there be a fight to see who gets the decent seats and who has to be relegated to sitting at the back like the naughty kids in school. The first row of seats are electronically adjustable – of course – and the middle row can be slid forward or backwards, also electronically. However, if you have no friends (or you need more space, which is more likely – well I hope for your sake it is) you can fold the third and second row of seats down electronically, which is better than having to pull levers and doing it yourself of course. That leads me very nicely on to the next point; space. 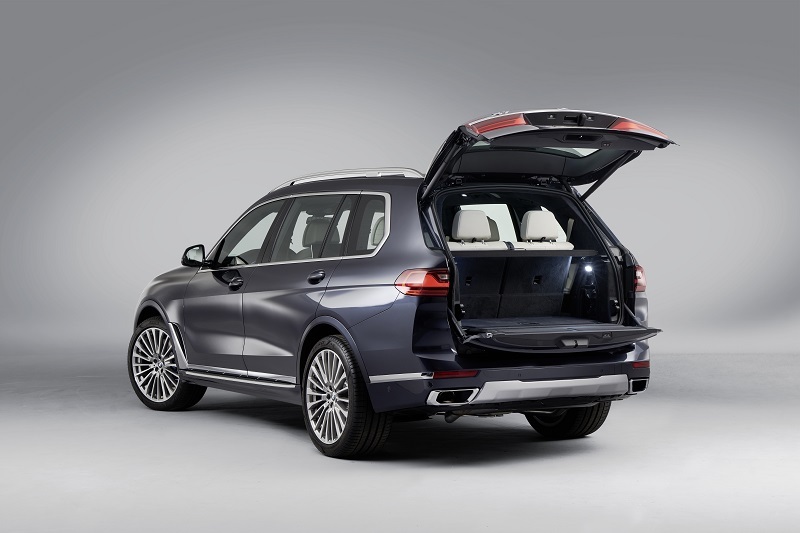 With all seven seats in place, boot space is ‘just’ 326 litres, which may seem small for such a big car, but if you bear in mind that’s with seven occupants, that’s pretty good going. However if you find that too small, you can enjoy a whopping 2,120 litres if you fold down the second and third row of seats. Plus, to make loading even easier, the air suspension (standard fitment) can be lowered, and you can also have an handsfree tailgate, but that’s an optional extra. The new X7 will be available with three engines, two diesel and one petrol. The diesel contingent is made up an in-line six cylinder offering 265hp and another in-line six cylinder unit offering 400hp. The former also has 620Nm of torque whilst the latter has 760Nm. In regards to performance, the two engines offer respective 0-62mph times of 7.0 and 5.4 seconds and respective top speeds of 141 and 155mph. If it’s a petrol you crave, there’s only one, which like the diesels, is an in-line six cylinder unit. It produces 340hp with 450Nm of torque, meaning you’ll hit 62mph in 6.1 seconds and continue to a top speed of 152mph. Each engine is turbocharged, and all three are mated to an 8-speed auto and BMW’s XDrive four wheel drive system. 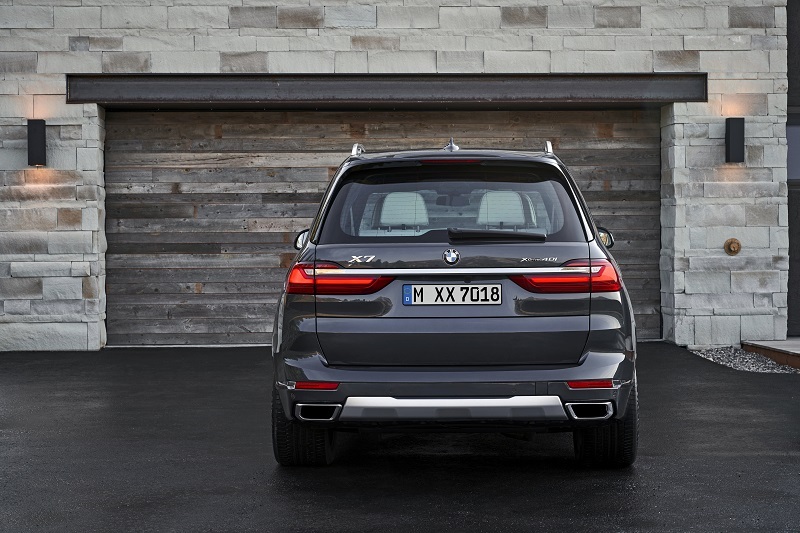 The new BMW X7 will go on sale in the UK April next year, starting from £72,155.